Apowersoft Screen Recorder Pro normally cost $39.95 for purchase. As part of Super Sale promotion, Apowersoft is giving away free genuine license series key of Apowersoft Screen Recorder Pro at no cost. The license key code and download links of Apowersoft Screen Recorder Pro will send to email address. If the promo page don’t appear, mean the giveaway is over. 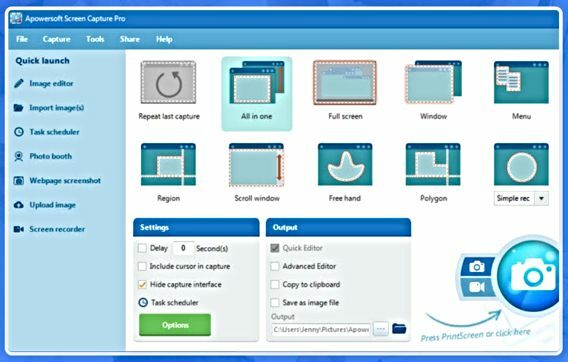 Just download the Apowersoft Screen Recorder Pro installer and activate to full version. Apowersoft Screen Recorder Pro compatible with Windows XP, Windows Vista, Windows 7, 8, and Windows 10.